In case you hadn’t figured it out by now, there’s no fury like that of a woman faced with being stripped of her basic fundamental rights. 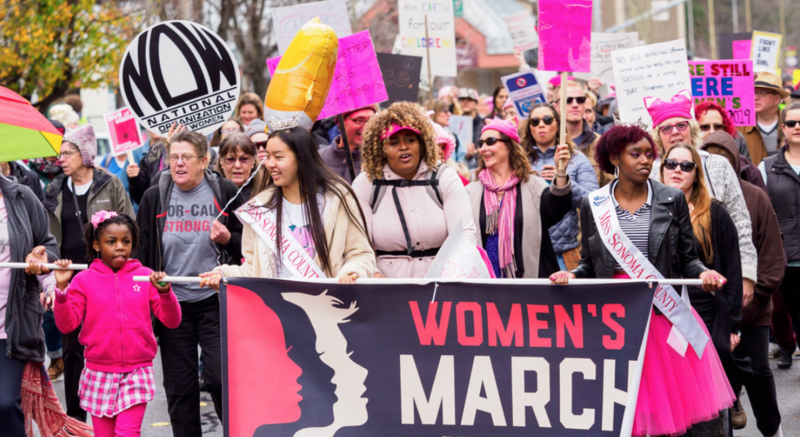 And on the 19th of January 2019, women all across the nation proved that, by turning out in droves across the nation for the 3rd annual Women’s March. From the streets of San Francisco, to Washington D.C., women and allies took this chance to express their anger, exasperation, and resistance to the deluge of intolerance, racism, and sexism that has seen a steep rise since the inauguration of arguably one of the most polarizing figures in American politics in recent years. 1. If you weren’t scared before, you’d better be now! 2. STAY. IN. YOUR. LANE. 3. KonMari-ing this ish, ASAP. 4. Tell ’em, little sister! 6. Never send a man to do a woman’s job. 8. Tick, tock, tick, tock. 9. Scream it loud and proud, sis! 10. When resisting > being an introvert.